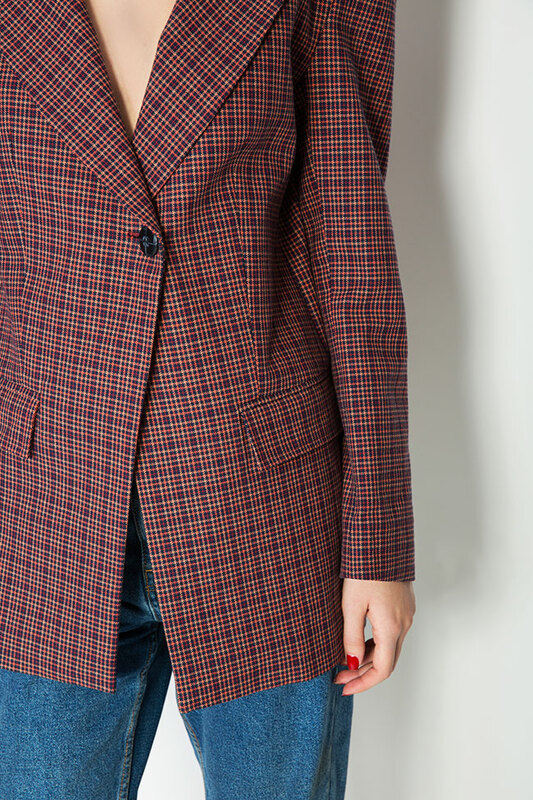 Cloche's checked blazer was a best-seller last season, and the brand has reworked it in burgundy shades for spring. 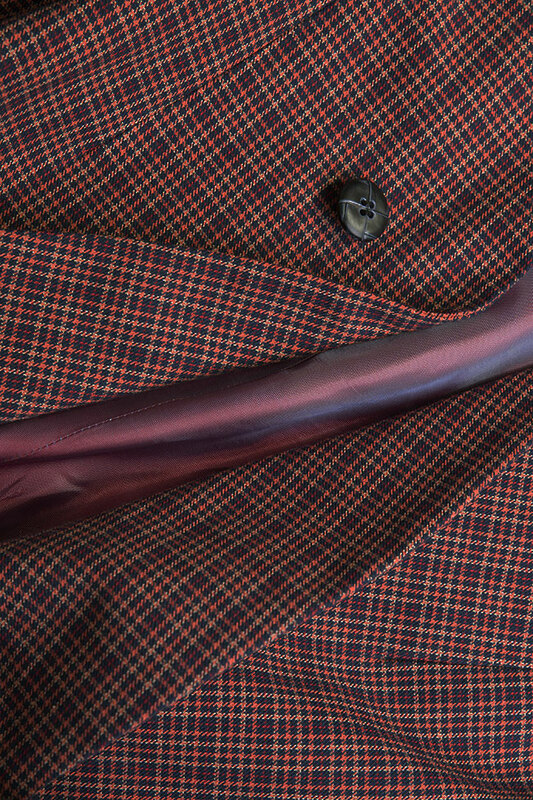 It's woven from cotton and partially lined so it has a satisfying mid-weight handle. 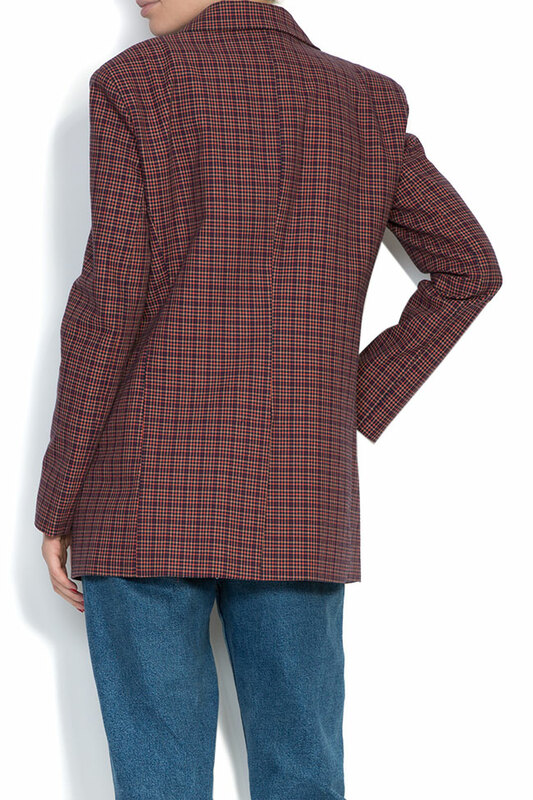 The padded shoulders and retro peaked lapels define and narrow your frame.